Millions of Americans move every year. When you have to move, you know what you need to do. You start packing all of your household belongings and you hire a moving company to assist you in moving them to your new home. The economy is recovering which means that there will be more jobs, increasing the rate of job migration in the United States. How will you move your car from your old home to your new home? This is where car transportation companies step in. Car transportation companies can help you save money, protect your vehicle, and avoid adding unwanted miles and damage on it. Car transportation companies will save you money. For example, If you choose to drive from New York to San Diego you will have to pay for gas and hotels. The average car will consume about $500 in gas. According to Google Maps the approximate drive time without stopping from New York to San Diego is about 48 hours. Due to the fact that it is not possible (or healthy) to stopping for more than 12 hours you will need to spend at least four nights in hotels. This means that you will spend at least another $400 on hotel expenses. For these four days you will have to eat at restaurants therefore your costs will increase even more. During your trip you will also have to pay for tollways, which can really add up on such a long drive. At the end you will end up spending at least $1200 to drive your car to you new home. If you use a car transportation company it will cost you about $900 to ship your vehicle from New York to San Diego. You will save $300 as well as the wear and tear on your vehicle. You will not have to drive for days, but you can spend your time doing more productive things in order to make your entire move a hassle-free one. When you use the services of a car transportation company your vehicle will be protected every step of the way. 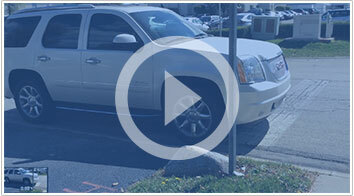 Car transportation companies are required to insure their trucks, as well the cars that are on their trailers. This means that if your vehicles gets damaged in transit, the insurance of the transportation company will cover 100% of the damages incurred. Make sure that the company you are choosing to ship your vehicle meets these regulations and is fully insured. Avoid Adding Unwanted Miles/Damage on it. Adding mileage on your vehicle will decrease the price of your car. If you buy a brand new car and you drive a lot of miles every year the cost of your vehicle will decrease at an extremely quick rate. If you have to drive your vehicle across the country you will drive more than two thousand miles, which means that the value of your car will be lower than it would if you use a car transportation company. Driving your car increases the risk of damaging your car. Your vehicle will be exposed to the hazards of the road for thousands of miles, therefore using a car transportation would be the wiser choice to transport your vehicle. This entry was written by admin, posted on Monday, November 11, 2013 Bookmark the permalink.